Greetings from… hmm… where am I today? My name is Elena. For the past 3+ years, I’ve been slow traveling around the world. I’ve been spending 3-4 months at a time living like a local somewhere and then moving to my next destination. I travel with my husband who happened to share my insatiable hunger for discovering new places and does not mind our nomadic lifestyle. 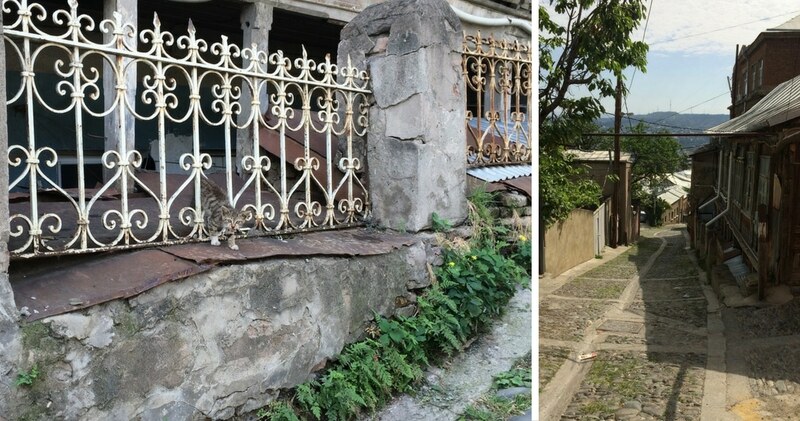 Most recently, we spent 4 months in Tbilisi, the capital of Georgia, a tiny, fiercely independent country at the intersection of Europe and Asia. 2. 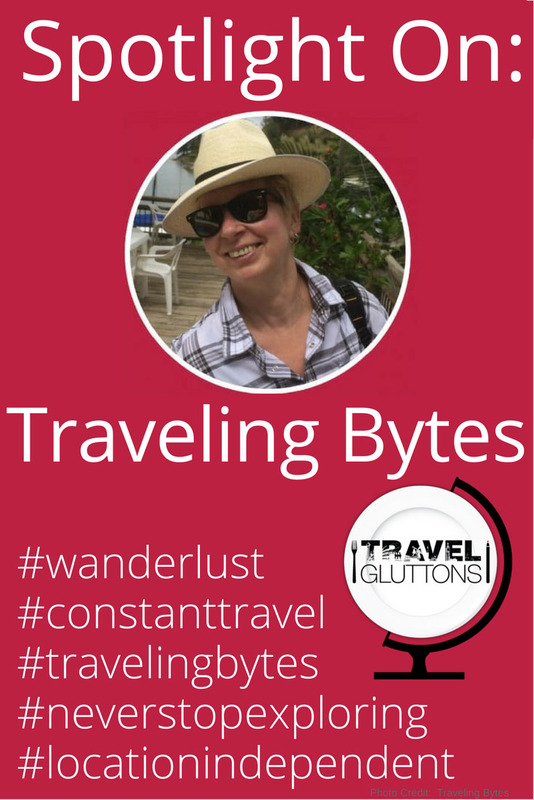 What is your site, ‘Traveling Bytes’, about? Traveling Bytes began as an attempt to record our journeys, successes and failures and everything that came along with them for friends and family. Gradually, our audience started to grow currently reaching 30K+ across Twitter, Facebook, Instagram, and Pinterest. 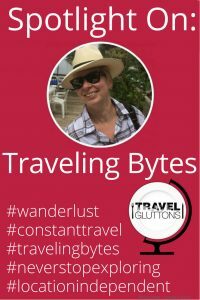 After 3 years and counting journey through 24 countries scattered over 5 continents, Traveling Bytes changed its focus to providing travel advice and resources based on firsthand experience for travelers who prefer to experience life as locals with deep immersion in local traditions and culture. 3. What is one food tip you would give about Tbilisi in Georgia? Georgia is known for its unique cuisine that carries some influences from European and Middle Eastern culinary traditions. 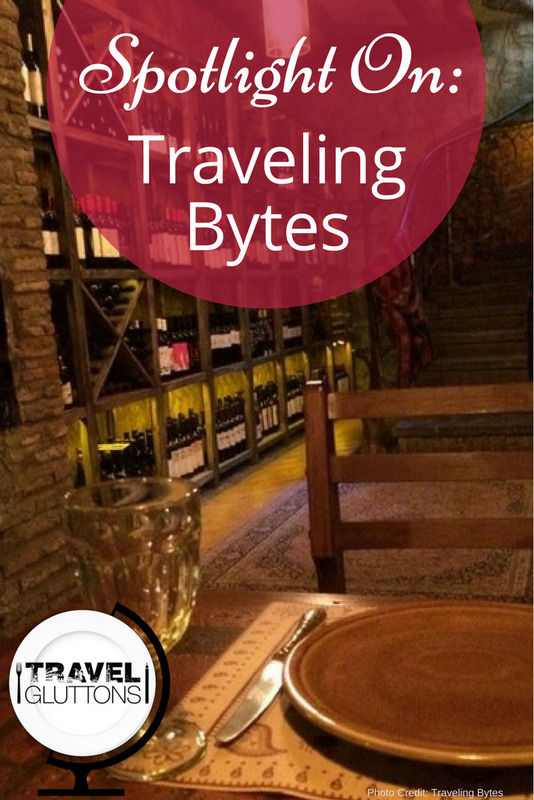 The must-visit place to experience it is Barbarestan restaurant in Tbilisi. It was named after Barbare Jorjadze, a legendary Georgian chef and the author of the first extensive book about Georgian cuisine back in the 19th century. The restaurant has adapted her cook book to rediscover forgotten treasures of the country’s heritage. 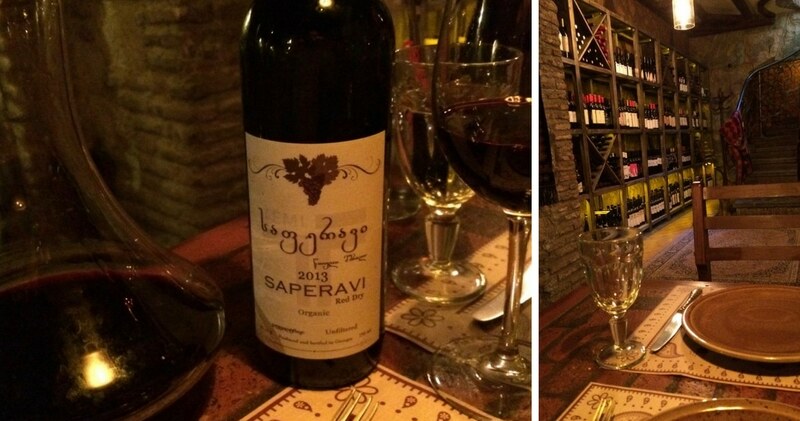 The historic wine cellar of the 19th century is a treasured pride of the restaurant. 4. What is one travel tip you would give about Tbilisi, Georgia? Get out and explore Tbilisi on your own. The best parts of the Georgian capital, at least in my opinion, are charming cobblestone streets just one block off the general tourist routes. Unlike the rest of the country, Tbilisi residents, especially younger ones, understand English. Venturing outside the capital? Hire a local guide with a car. Georgians are crazy drivers who treat traffic laws as mere suggestions. 5. 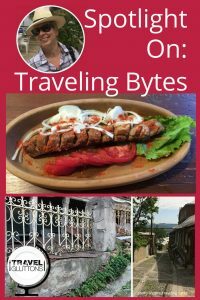 What is the best thing to eat in Tbilisi, Georgia? I bet a majority of travelers would say that khinkali or khachapuri are must-eat samples of local cuisine in Georgia. They are definitely worth a try. However, let’s think outside the box. A country with countless rolling fields is bound to produce an excellent meat. It would be a shame to miss tasting it. 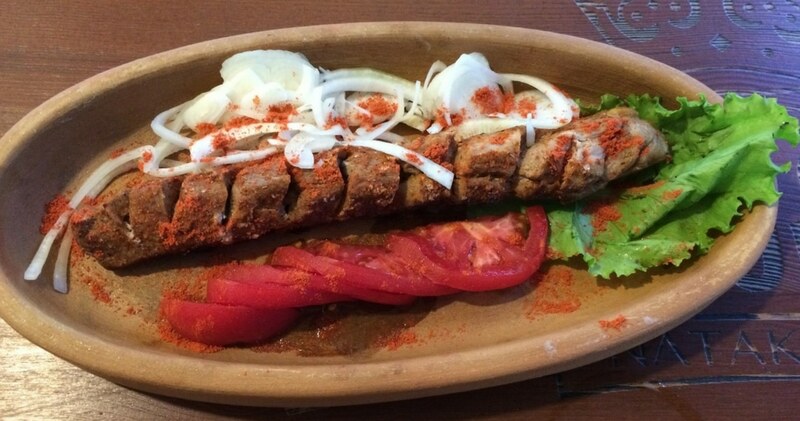 Expertly prepared grilled meat called shashlik is absolutely delicious. 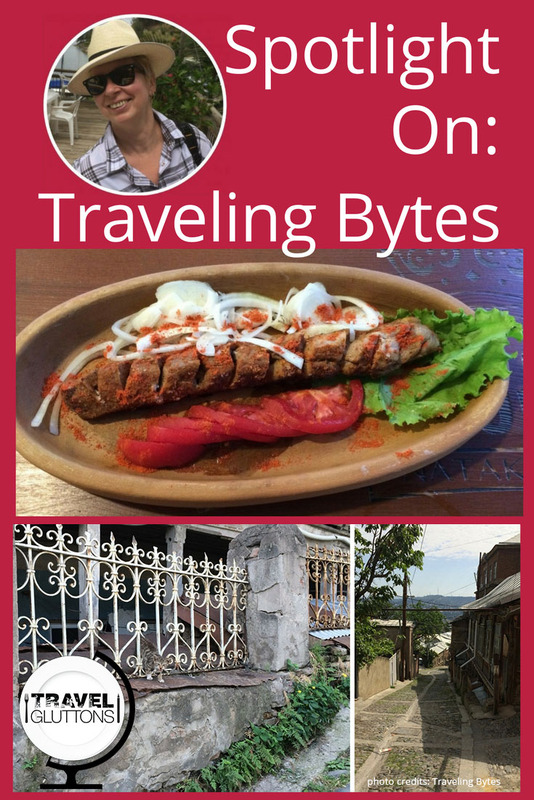 2 Responses to "Spotlight On: Traveling Bytes"
I really like shashlik. It’s Georgia’s one of the favorite food items. It’s absolutely delicious and I often eat this.